There are several Cannabis strains in the market which are known for their specific psychoactive effects. 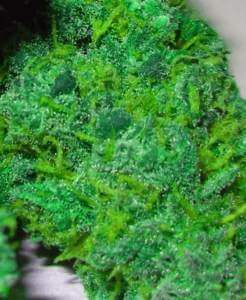 Green Crack is a marijuana strain has its origins from Afghani and Skunk #1. It’s main characteristic is that delivers a strong, powerful high that will leave you reinvigorated and fresh all through your day. This is why it is called Green Crack. It has been proven as an effective strain for treating depression, stress and tiredness. It can be used during the day. Its taste has been described as an exotic tropical mango flavored taste that is sweet. It is perfect for use during the day. It delivers a mental buzz that helps to keep you sharp and energized all through the day. Take this strain for maximum concentration at work. It is also perfect for those that want to combat anxiety and fatigue. Jack Herer is a marijuana strain that was named after Jack Herer, the activist. People often describe the high as psychedelic and cerebral. This strain is known for how effective it is for stimulating the appetite and relieving pain. It is one of the most powerful strains, and it is well known. Jack Herer is a Sativa-dominant strain that has its genetic origins from Red Skunk and Haze. It gives a characteristic of an uplifting and energetic high. It gives a nice smell and taste that has been described as acrid fruitful, warm peppery with a spicy pine. Sour Diesel is a Sativa-dominant strain that has a 10-week flowering period. 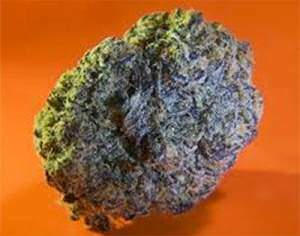 It is known for its powerful high, resinous buds and its strong diesel-like aroma from which it gets its name. The high one gets from Sour Diesel is dreamy with an energizing effect. Another characteristic is that it has the ability to take away pain, sooth depression and stress- that is one of the reasons which make it a top choice for those suffering from anxiety. Sour Diesel likely has its origin from a Skunk phenotype along with Northern Lights and Chemdawg. A top marijuana breeder called Chem Dog is known for popularizing the strain. Of course that was only a very short list of the cannabis strains that can improve the mood. Needless to say that there are many more Cannabis strains appearing every day that can help with anxiety. For example Alaskan Thunderfuck is one of them. As the cannabis market becomes legal there is obviously a lot of potential for this type of cannabis and a bright future for cannabis breeders and seed banks that offer several types of depression relieving strains. ** Note – USAWeed.org does not make or intend to make any medical claims. See your local cannabis friendly physician for advice before use. This is a sponsored post from a third party.